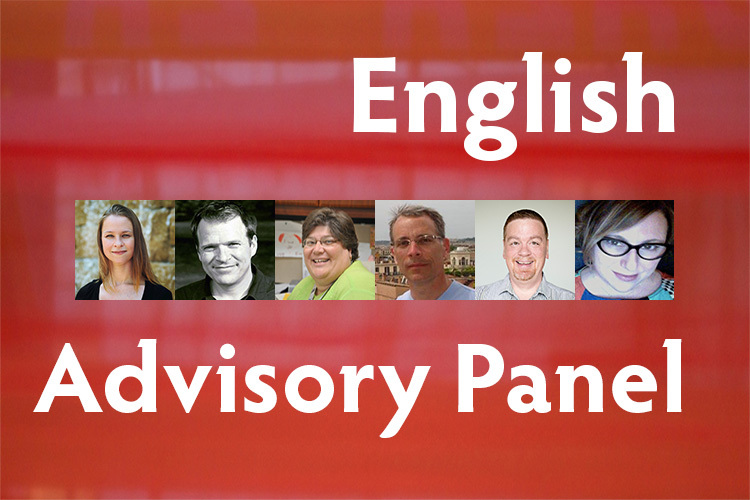 Recently, the department formed an English Advisory Panel, which consists of working professionals with backgrounds in English who can lend advice to our students about a variety of career choices. The panel will also serve as a valuable resource as the English Department continues to pursue internship opportunities for students and seeks input on how changes to our curriculum connect to real world possibilities. James Hoch is Professor of Creative Writing at the Salameno School of Humanities and Global Studies at Ramapo College of New Jersey and Guest Faculty at Sarah Lawrence College in New York. He graduated from Millersville University of Pennsylvania with a bachelor’s degree in philosophy. He went on to study creative writing-poetry at the University of Maryland. He has two books of poems: A Parade of Hands and Miscreants, and has published individual works in a variety of magazines. He currently lives with his wife and two boys in the Hudson Valley, where he serves on the local school board and collaborates with the Hudson Valley Shakespeare Festival. Lisa Mitchell graduated from KU in 2001 with a major in Professional Writing and minors in Women’s Studies and Literature. This well-rounded education included courses in creative writing, journalism, magazine writing, and desktop publishing, as well as internships in the Women’s Center, University Relations and the completion of a work study session at the Writing Center. After graduation, Lisa wrote for numerous weekly newspapers in Berks and Lehigh counties. Currently, she is managing editor for Berks-Mont Newspapers and editor of Kutztown Area Patriot, Hamburg Area Item and Tri County Record. Mark Demko is a graduate of Moravian College, where he earned a bachelor’s degree in English, with a concentration in journalism. After starting his career in the newspaper industry, he had the opportunity to work for ArtsQuest, the nonprofit that presents Musikfest, Christkindlmarkt and much of the programming at SteelStacks on the former steel plant in Bethlehem. He is currently Senior Director of Communications for ArtsQuest, handling media and public relations. He is also an outdoors writer, writing for area newspapers and national publications. Jenni Levy majored in English with a concentration in American Studies at Princeton University, where she wrote an undergraduate thesis on Eugene O’Neill. She then went to medical school, trained in internal medicine, worked in primary care and palliative medicine for thirty years, and is now a staff physician for grandrounds.com, helping people get answers to questions about their medical care. Ellen Thibault is a publishing professional who specializes in developing texts and media for college writing and literature courses. She is an executive editor for Bedford/St. Martin’s of Macmillan Learning in Boston. Thibault resides in Rockport, Massachusetts, not far from Motif #1.